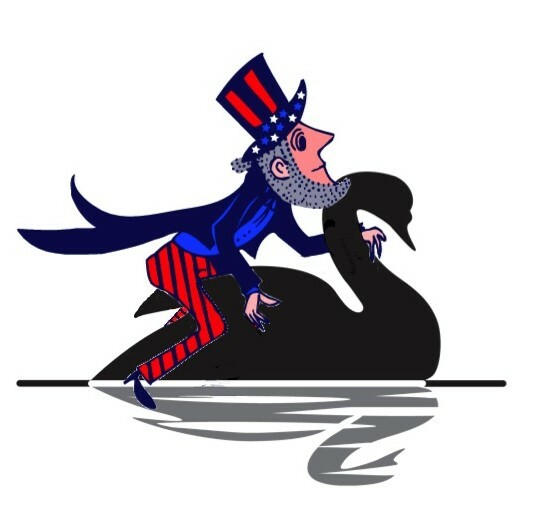 To Win Election 2016: Ride the Black Swan! As numerous October surprises unfold on the eve of Election Day 2016, we conservatives can set asid e the feelings of futility and helplessness we sometimes felt as we watched the progressive takeover of our nation that has been grinding slowly since the 1960’s. There IS now great hope and opportunity for the restoration of the Judeo-Christian values on which our nation was founded, and which have brought us to the prosperity that we have worked for and enjoyed until recently, for over 200 years. We now have the opportunity for a very rapid reversal of the moral slide in this election, provided we ride the Black Swan. And what IS the Black Swan, and how do we ride it? We actually hold power WAY beyond the sum of our cumulative votes, if only we would realize it and use it. So let’s get to the background and clarify what this means. For those unfamiliar with the term, “black swans” refer to a serious political theory which holds that some most significant events in human history are not the result of careful human planning by professional politicians or by democratic elections, but are steered instead by completely unpredictable, seemingly almost random events which can alter the course of history very dramatically. So CNBC appears to view the most recent Hillary email scandal as potentially game-changing, and certainly not proceeding according to plan. Are Black Swans Good or Bad? This is where I like to interject the observation that Black Swans, both in nature and in political theory, are NOT necessarily considered negative, evil or dark. Black Swan analogy was introduced simply because the Black Swan is so rare that at one point in history it was thought not to exist. The Black Swan represents a very rare and very unpredictable event, which can be either good or bad, but which defies all odds and probabilities. In my world view, which is based on a strong Faith in a very good, very brilliant, very invested and very accessible God, Black Swan events represent the influence of the ever-present war between Good and Evil, between God and Satan, on human events. And what only those with very strong faith realize, is that the tides if this war are seriously affected by the moral standards we humans adopt and the prayers that we pray as the people of God. Yes, WE can control the Black Swans, albeit indirectly and only God willing. But we fight back evil with courage, hard work, and most importantly, PRAYER. 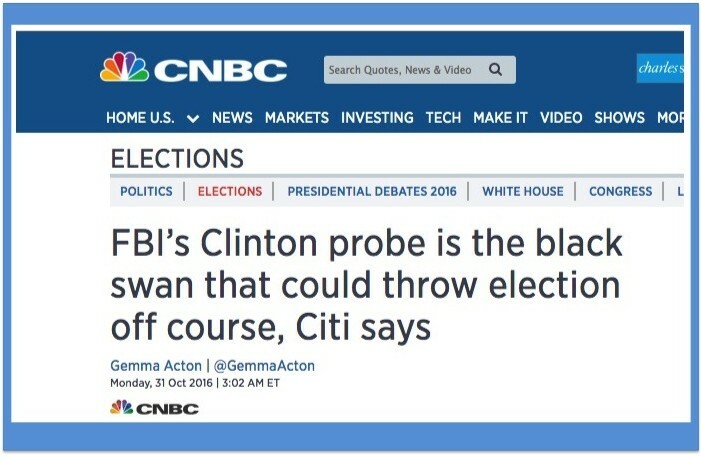 The media has recently begun acknowledging the existence of God, although intermittently, and recently The Daily Mirror even acknowledged that Britain’s Brexit appeared to be affected by an “Act of God.” Now, CNBC seems ready to acknowledge at least the role of rare and unpredictable Black Swan events in elections, and to suggest the possibility that Hillary Clinton’s election may be threatened by such Black Swan events. So let us summarize briefly why the recent Hillary email developments seem to defy all odds, then move on to the question of how we can contribute to the course of American history in ways that make us feel less powerless. * Numerous Black Swans have been arriving during this election season, including Donald Trump himself, who was a big surprise to everyone. * But most recently, Hillary’s clandestine private email server was hacked, and her traitorous global pay-for-play game was exposed on Wikileaks. * Hillary was sufficiently powerful to get President Obama to influence the head of the FBI Comey, and the Attorney General of the United States Lynch, to gloss over Hillary’s negligence and the multiple felonies she had committed. * The only way the head of the FBI could squirm out of the bind he was in, torn between serving Justice and answering to Congress, yet obeying directions from President Obama and Attorney General Lynch, was by promising Congress that he will reopen the case and inform them if any additional information surfaces regarding the case. Note that the only alternative to this promise of Comey’s would have been to refuse to promise to reopen the investigation if additional evidence surfaced. Next, what are the chances that a sexually disordered man happens to be married to Hillary’s closest aide, and that aide uses her home computer for backups? Also the chance that that man sells out his wife and barters his computer for clemency when he is caught sexting with 15 year old girls? Alternatively, they may have been purposeful backups. 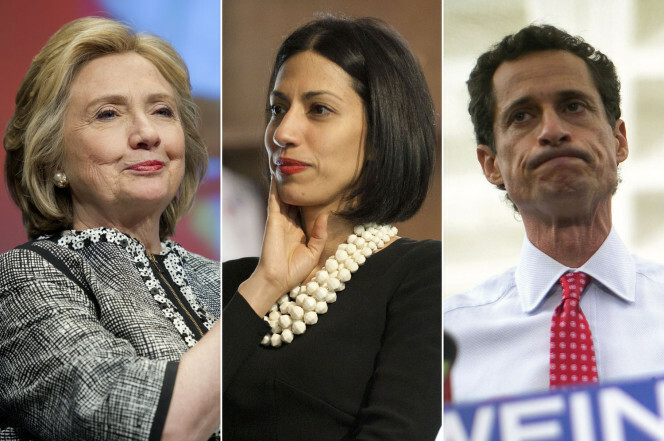 When you’re dealing with Mr. & Mrs. 54 body-count Clinton, even if you are a close associate, it might be wise to keep some insurance backed up at home. After all, the Clinton empire resembles very closely the TV series House of Cards. 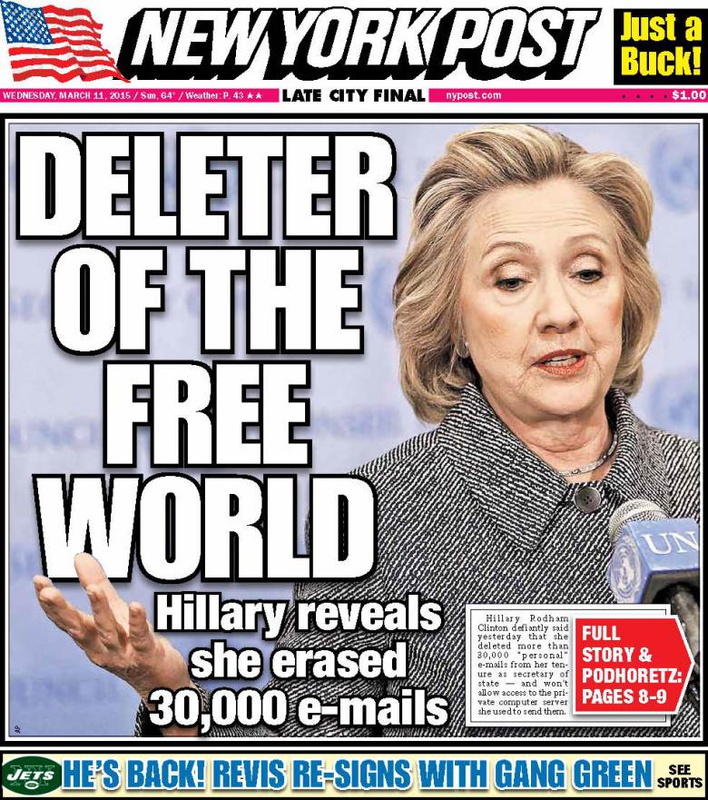 And so, the FBI becomes aware of hundreds of thousands of emails, in all probability including the 30,000 or so that Hillary scrubbed from her server before turning information over to the FBI in March. The FBI must reopen the investigation. And now the FBI director MUST inform Congress, or face future prosecution himself for participation in what now called by some the Clinton Cartel and it’s traitorous global agenda. How fortuitous is it that Congress demanded a promise from Comey that locked Comey in? Most recently, Hillary demands that the details be disclosed. Of course. So that the case against her could be compromised and important evidence would have to be excluded from future trials. Hillary is always looking for fools. It’s worked for her well in the past. 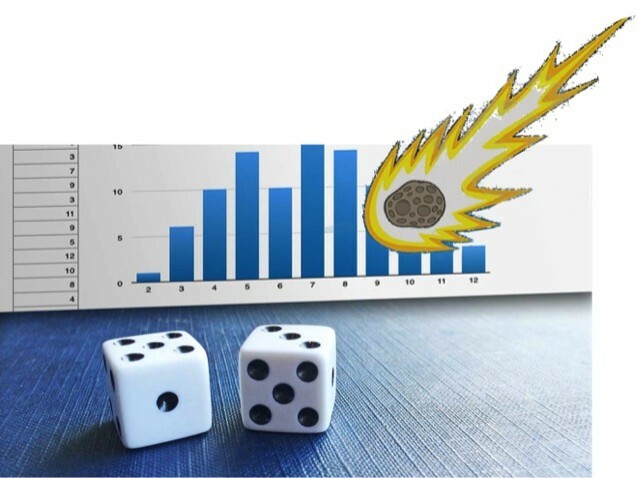 If we took the trouble to calculate the odds of each of the above events happening, and to determine the probability of all of them happening in a series, you would probably find that the probability is so low that it’s comparable to the probability of a meteor hitting the earth this afternoon. And that is the definition of Black Swan events. Events that were not planned by politicians or other groups of people, events that defy all odds, and events that have transformative power over human history. 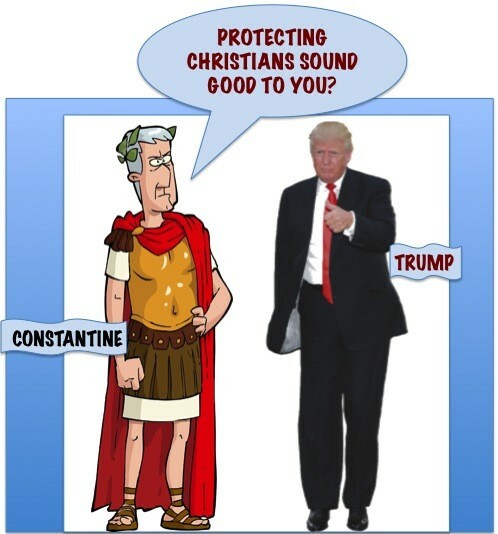 An example of such an event is the Christianization of Europe by the Emperor Constantine, who, it may comfort us conservatives to know today, as we conservatives chew our fingernails over Mr. Trump, it may comfort us to know that the Emperor Constantine was not particularly saintly at the time. Yet he ended the era in which Christians were fed to lions, an option that Hillary Clinton might even find attractive today, if the recently found emails of her staff ridiculing Catholics and attempts to infiltrate and change the Catholic religion from the inside are any indication of Hillary’s views. It is not surprising to people of Faith that God often uses human individuals who are not close to or “inside” the Church for His purposes. This is where I start chuckling, and admire immensely the sense of humor God so obviously has. We have to recognize a good black swan when we see one. We have to welcome and ride the numerous Black Swans that are arriving. 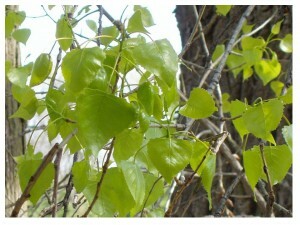 We do NOT say no to the lifelines God is sending. And we have to keep praying for more Black Swans, or they will stop arriving. * We MUST go to the polls. * WE HAVE TO VOTE FOR TRUMP, who officially supports the Constitution and the Judeo-Christian principles on which it was based. 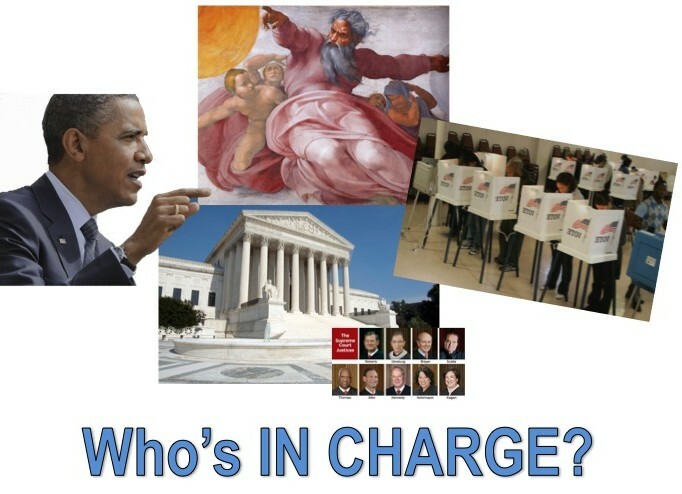 Who has defended Christianity and the unborn publicly more than once. * We have to vote Republican down the line– THIS election is not about parties, but about choosing a system of ethics. 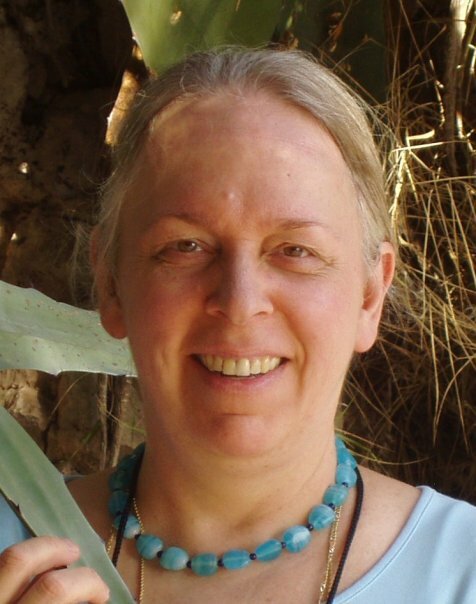 Judeo-Christian ethics, or the Dictator-of-the-Day ethics that progressives represent? If you don’t want Hillary and Abortion set up as our new Gods, you have to vote for Trump. 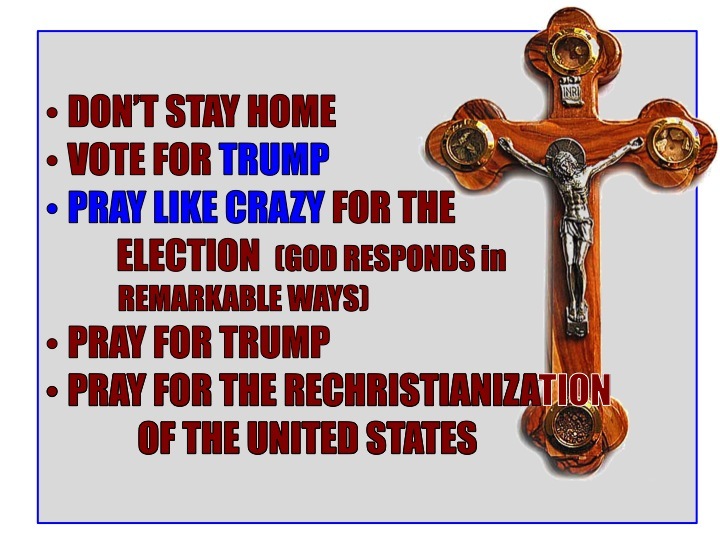 * PRAY FOR TRUMP, that his “conversion” to conservative principles and his pledge to protect Christianity and unborn children in the United States is sustained and supported by action on his part. I got an important reminder from a friend, Nancy Bartlett, President of Republican Women of Dane County: prayers of thanksgiving and praise are always due to our very awesome God, before, during and after all our crises. Even if Donald Trump and the ethical Republican Platform don’t win this election, this 2016 election has already brought the most important issues to the forefront of discussion- the dismemberment of unborn babies and protection of the religious freedom of Christians. Being able to talk about these things publicly and in political circles is an important first step. And Donald Trump is responsible for this change. Praise be to God! How mysterious are His ways. Black Ice on Black Friday- Keep Watching!